After being ignored for decades, the river had become a dumping ground polluted with urban runoff. Revitalization programs and organizations were formed to help restore the river's natural ecosystem within the the concrete basin. Angelenos are rediscovering a long lost part of the city. 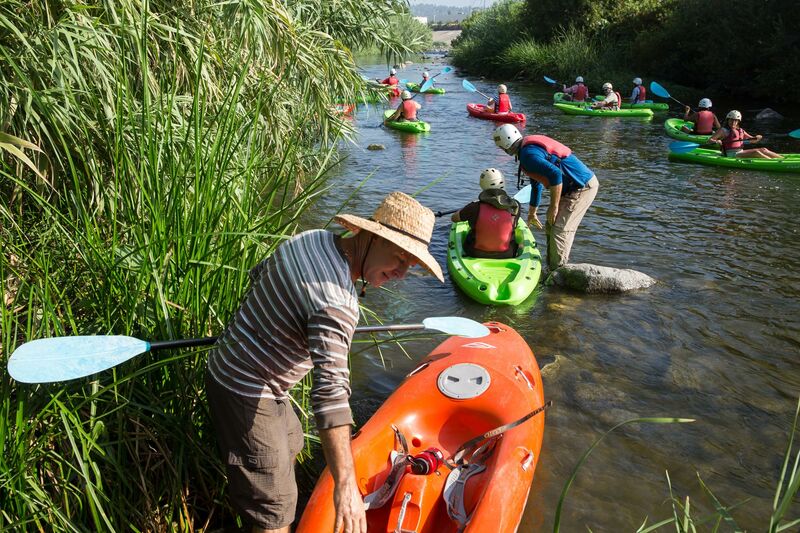 Kayakers on a tour led by river guides from the LA River Kayak Safari paddle a 2.5 mile stretch of the river in the Elysian Valley.